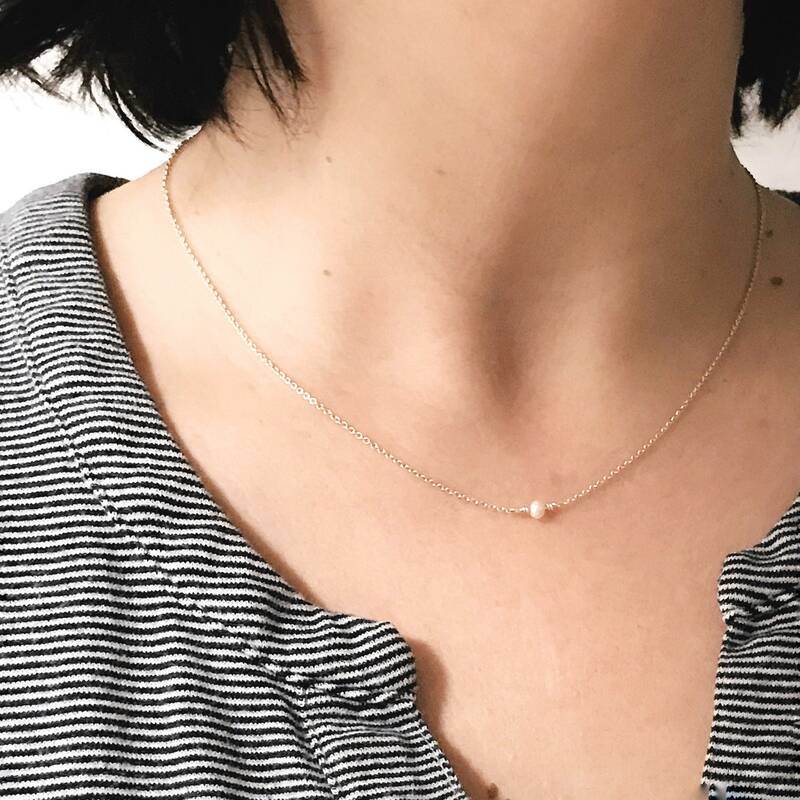 This delicate pearl necklace is subtle and sweet, making it perfect for everyday wear. 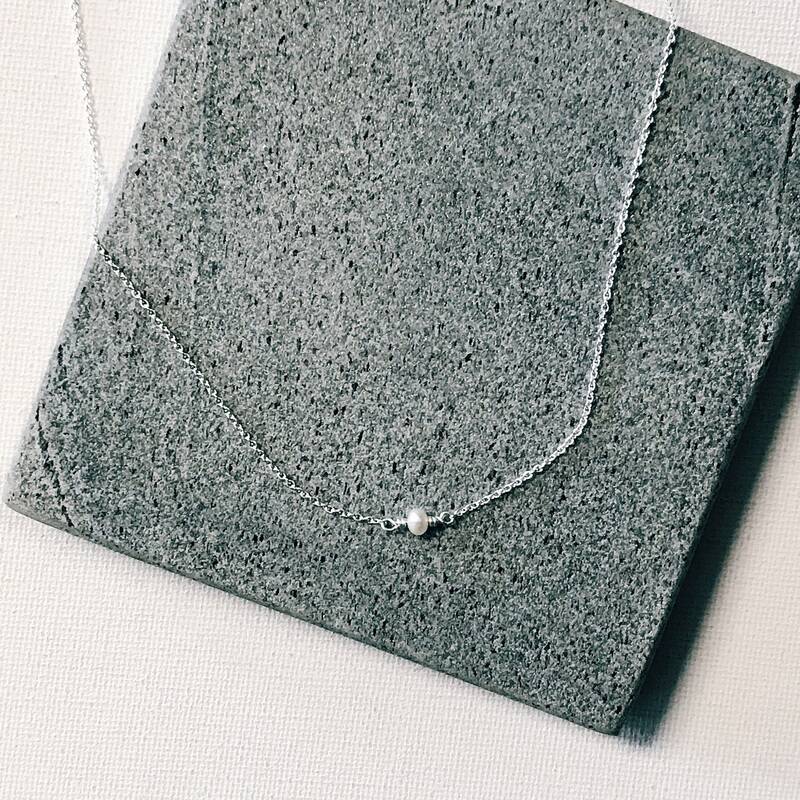 The dainty sterling silver cable chain features a single 3mm white pearl. 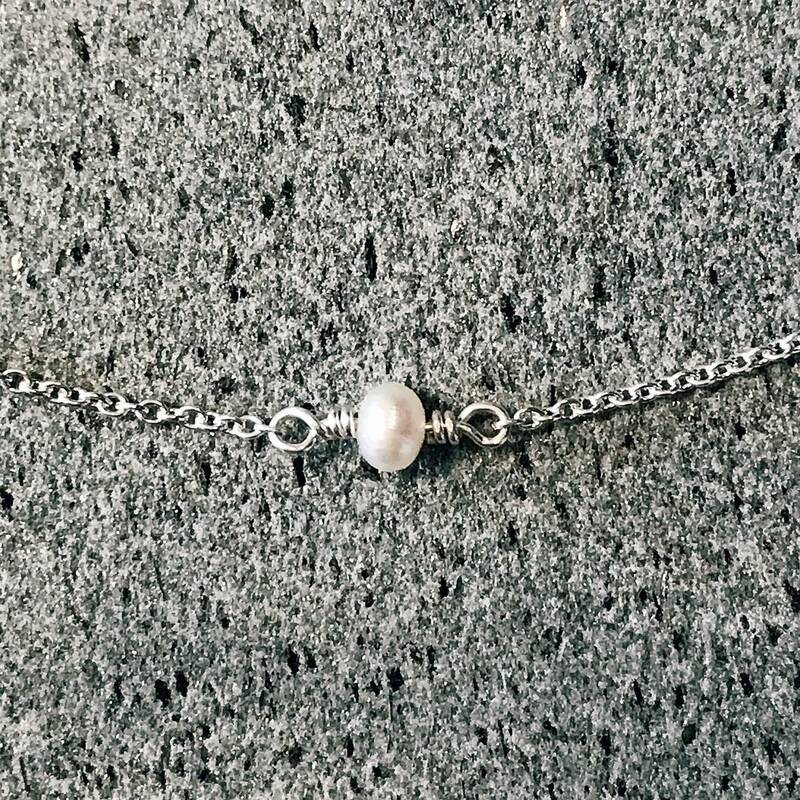 We hand wrap each tiny pearl using sterling silver wire, giving it a seamless look. This classic necklace makes a beautiful and thoughtful bridesmaid gift. Pearl is the birthstone for June. 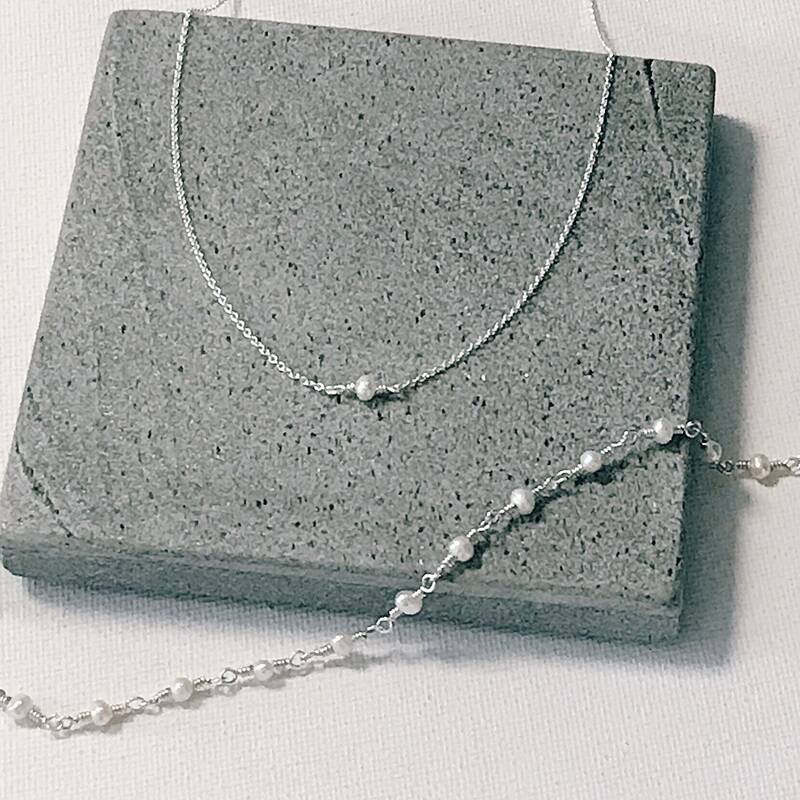 This pearl necklace makes a lovely birthday gift for both teens and adults! This necklace measures 16.5 inches in length. The chain is a 1.1mm sterling silver cable chain and is finished with a sterling silver lobster claw clasp.